Sponsor a very special bear today! As moon bear Bodo celebrates 15 years of sanctuary, it is hoped this most sociable of bears will be able to enjoy at least another decade of happiness. 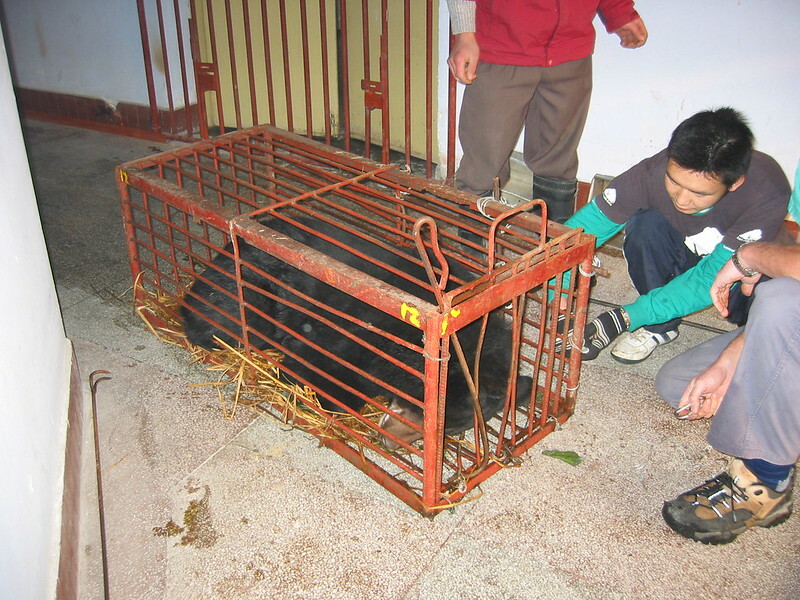 When moon bear Bodo arrived at our China sanctuary back in November 2003, he was less than two years old. Although he came from a bile farm, he had never suffered the agony of bile extraction due to his age, but if the farm hadn’t been shut down, Bodo would have endured an entire lifetime of such torture. 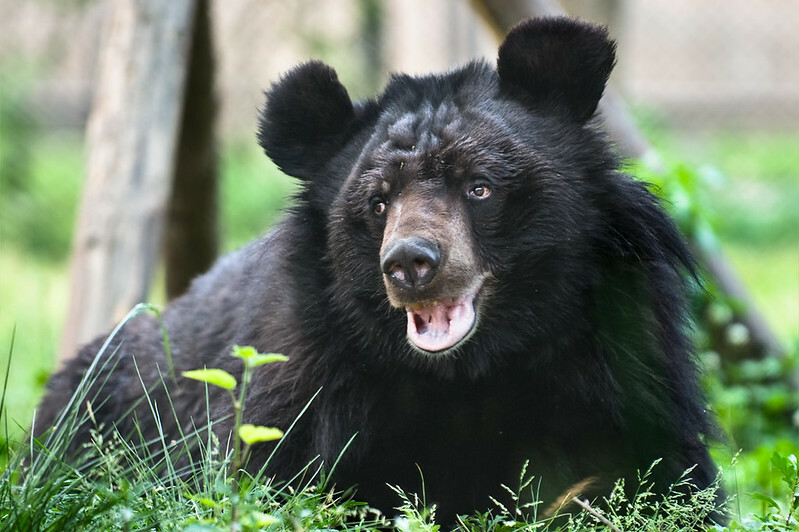 While many of China’s bear bile farmers are capable of breeding bears on site – unlike those in Vietnam – Bodo was most likely poached from the wild. His missing right forelimb is a gruesome reminder of the long-term damage inflicted by poachers’ traps. As we celebrate 15 years since Bodo came to live with us, it is hard to imagine that the scared, injured young bear we first met is the relaxed, playful adult we know and love today. When he arrived, Bodo was hugely stressed, showing repetitive behaviours so common in bears held in extreme captivity and in a desperate attempt to cope with trauma he was self-mutilating – chewing his own paw. Thankfully, in time, Bodo came to realise that nobody would hurt him ever again. He would have the space he needed, he would be able to express the natural behaviours his mind craves and he would have friends to share his new life. In 2015, Bodo first met the bears he has lived with ever since. Over the years they have had endless happy days together though sadly a number of Bodo’s closest friends have passed away in that time. “I recall Bodo playing with Ballman, Harley and Billabong and being a great friend to Nic and Jurgen too before they passed away. He has always been the ‘peacemaker’ of the house, quick to step in at the first sign of a growl if two bears are having a disagreement. “He’s incredibly sociable and when new bears join the group, he is quick to make friends and start the first gentle wrestling. These days he has found a firm friend in George and a cosy sleeping partner in Monkey. Whoever joins the group, we can be sure they will receive a warm welcome from one of the sanctuary’s biggest characters. Moon bears have been known to live up to 30 years and with Bodo still under 18 years old, it is hoped he will go on to spend many more blissful #MoonBearMondays here in his sanctuary home with his friends.